We turn to books for lots of reasons: comfort, entertainment, escapism, and self-discovery – to name a few. You might not be aware but this is actually a form of therapy: bibliotherapy. This practice takes many forms and genres. In some cases, it means using self-help books to learn and adapt; in others, it involves reading about different lives and worlds to better understand your own. Whatever your intentions are when you pick up a book, the words within it can teach you new perspectives and show you new solutions. 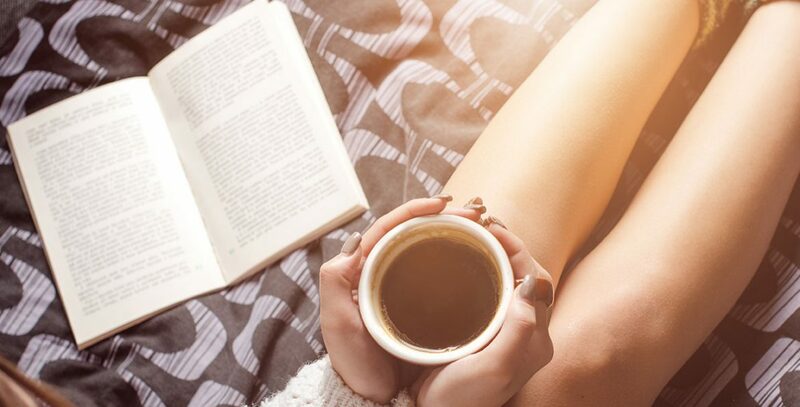 Bibliotherapy can be as casual or as deliberate as you desire; it can be fun, serious or both, but it doesn’t have to be done alone. For those who want guidance on their reading journeys there are a number of bibliotherapy services. Two of these can be found in Bath at Mr. B’s Emporium. This exciting independent bookstore offers Reading-Spas and a subscription service. The Reading-Spas consist of a ninety-minute consultation with a Mr. B’s employee turned bibliotherapist followed by a ‘tower of books especially selected to suit your tastes’. Before your session you’ll be asked to give some brief information on your reading preferences to better match you with your bibliotherapist. These Reading-Spas are available Monday to Friday but due to the high demand it is recommended that you book at least a month in advance. If you’re interested in a long-term service Mr. B’s also offers subscriptions. After a short consultation to determine your reading tastes, which can be conducted in person, by email or phone, you’ll be sent a beautifully wrapped mystery book every month. If you receive a book you’ve read before it can be exchanged for a new title. However, there is a spoiler service in which a clue about the selected title will be sent to a friend to help prevent this. As your subscription progresses you’ll be able to give feedback on the books you’ve receive to better tailor the subscription to you. These are exciting services that make perfect gifts for yourself or other book lovers. For more information read our interview with co-founder Nic. Blackwell’s is another bookstore to offer bibliotherapy. Since 2014, Oxford Blackwell’s have held their own bibliotherapy sessions. Their first such event light-heartedly mimicked the iconic couch therapy session. Readers were asked to lay back on a couch and discuss their lives and reading habits with a member of staff who, of course, was appropriately dressed in a white doctor’s coat. Following this, readers were offered 10% off whichever book had been recommended to them. According to Hannah Chinnery, Events Coordinator at Blackwell’s, these events are a fun way to formalise a process which takes place every day at Blackwell’s, as staff match book and reader together. She says, books can be ‘life changing’ and sometimes it’s just a question of finding someone the right words at the right time to make a huge difference to their lives. Many book lovers feel the same way and Ella Berthoud, Simona Lyons and Susan Elderkin have even made a career of it. These three women work as professional bibliotherapists for The School of Life in London. They offer one-on-one sessions to those seeking literary support in their lives. The aims of these consultations range from broadening your reading horizons to overcoming a specific challenge in your life. Prior to your bibliotherapy consultation you’ll be sent a questionnaire asking about your reading tastes and habits. There are also questions regarding your current circumstances and any personal issues you’re experiencing. You’ll expand on these areas in your forty-five-minute one-on-one session. Several days after this you’ll receive a prescription of eight books. 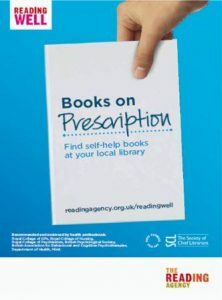 Over the years bibliotherapy has gained recognition as a therapeutic tool and in 2013 the NHS launched the Reading Well Books on Prescription scheme. It offers book lists for a number of topics, all of which have been carefully selected by health care professionals to help with various issues. Anyone can access these lists online and borrow the books from their local libraries. However, you may wish to receive a book prescription from your GP, or other health care professional, for a specific recommendation. Bibliotherapy is by no means a new idea. In the First World War, shell-shocked soldiers were prescribed works by Jane Austen to treat the horrors they faced in the trenches. A lot of research has been conducted on the effectiveness of bibliotherapy. Much of this is displayed on the Reading Agency website in support of Books on Prescription. These general studies and specific Books on Prescription case studies demonstrate the success of guided and un-guided bibliotherapy. A particularly interesting study was commissioned by Galaxy and conducted by Mindlab International at the University of Sussex in 2009. It found that for stress reduction reading was more effective than listening to music, taking a walk, playing video games or having a cup of tea. Reading for as little as 6 minutes can reduce stress levels by 68%, regardless of what you read, so long as you are fully engaged with the book. Bibliotherapy is a wide-ranging practice, often meaning different things to different people. But what everyone can agree on is that books have the power to nurture and delight us and sometimes they help us find ourselves when we are lost.